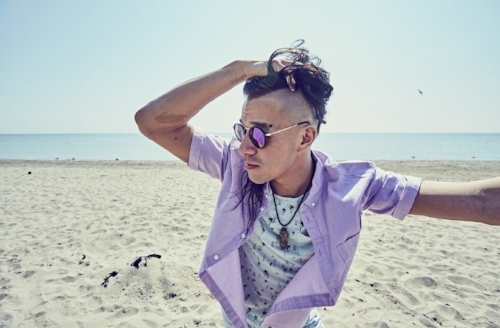 has been discussing his new single, Coast, and where it draws inspiration from. I ask the songwriter about his upcoming album and what we can expect; how his Canadian and Hong Kong roots affect and influence him; which artists have made an impression on him – he recommends some upcoming artists to seek out. King talks about three albums that mean a lot to him; how he spends time away from music; what tour dates are coming up – King explains exactly what music means to him. Hi, Tennyson. How are you? How has your week been? I’m great! Thanks for asking. My week has been great. I just started my Western Canadian tour last week in Whistler, BC. I’ve had some shows in the Okanagan valley and, currently, I’m on Vancouver Island for five days with shows all over. It’s been great to be in the beautiful nature of British Columbia and play music all over. 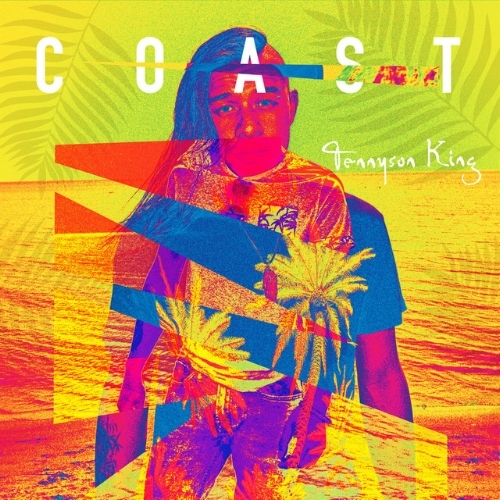 My name is Tennyson King; a singer-songwriter based out of Toronto, ON and originally from Hong Kong. I play and write what I describe as ‘Psychedelic-Folk-Rock-driven by guitar and vocals’. Coast is your new single. Is there a story behind the song? Coast was written with lots of inspiration from my two tours in Australia during 2017. I spent most of the year there playing music and when I wasn’t playing music; I was living out of my van and cruising around the country. One specific area I dug was in Queensland between the Gold Coast and Sunshine Coast. The song talks a bit about the adventures and experience I had while there and, musically, emulate living life on the beach. I know there is an album coming. Can you reveal the sort of thing we might hear? What themes and ideas did you explore? The tunes on the upcoming album have a similar chill vibe like Coast. It’s music for the everyday person who is working hard doing whatever they do but craving, dreaming or reminiscing about the love of travel, nature and the beach. The overall tone is very care-free but, lyrically, touches on very self-reflective thoughts that I believe many of us have. You have Hong Kong and Canadian roots. Where do you spend most of your time? What are the main differences in terms of the music scene? When I’m not on the road, I usually spend my time in Toronto, Ontario though, in the coming year, I’ll be spending some time in Hong Kong and doing my first tour out in Hong Kong and China which I’m really looking forward to. Which artists were you inspired by growing up? Who do you count as idols? Growing up, I was inspired by bands like Red Hot Chili Peppers, Metallica; The Beatles, David Bowie; Bob Dylan, Pearl Jam; Tom Waits, Rage Against the Machine and so many more. Idols…I’d say John Frusciante from R.H.C.P., David Bowie; Tim Buckley, Eddie Vedder and Anthony Keidis…and I’m sure there are other ones, too. Just as long as I’m still playing music and travelling by the end of this year I’ll be happy. I’m currently at the start of a two-month tour of Western Canada - with shows in British Columbia all the way back to Ontario. My tour dates are on my website. I’ll then be heading over to China for a tour in October and back to Australia for another tour in November. I was playing a show in Darwin, Northern Territory in Australia last year. I started one of my songs and a dude who worked for a reptile place at the festival came on stage and put a giant 9ft snake around me; so, I ended up playing the rest of the tune with it wrapped around my neck and body. You can watch it on Facebook. It was my Britney Spears moment. Music makes me feel everything. It’s crazy how it can make you feel sad, happy and so many more all in one shot. For me, it’s a type of therapy: when I listen and when I write as well as when I perform. It’s a new high that nothing else has been able to replace in the past years of my life. In the past year: 1. Bahamas – Barchords; 2. Edward Sharpe & the Magnetic Zeros - Edward Sharpe & the Magnetic Zeros and 3. Eddie Vedder – Into the Wild. Rider: probably just a sweet cheese spread for after my show. Work hard, be yourself and be nice. Iskwé, This Way North; James Hickey, Candice McLeod and Corey Theatre. Lately, I haven’t had much downtime but I like to go for a motorcycle ride, going for cottage/lake getaways; swim and beach chills.